She wants to create a school unlike those she attended, which were born out of the “civilizing” arm of the colonial regime. No “salt” appears to be lost in Jethro Soutar’s translation of The Ultimate Tragedy, which is the first Bissau-Guinean novel to be translated into English. 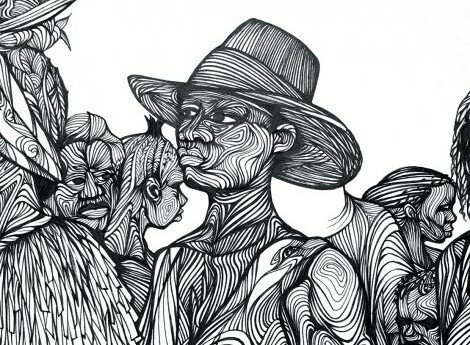 Reflecting the Bissau-Guinean oral traditions that influenced Abdulai Sila’s writing style, the novel reads like an uninterrupted conversation about what the future holds for this nation, seemingly on the verge of liberation. Indeed, it is not difficult to imagine protagonist Ndani’s life (re)told in an oral narrative as she transforms from cursed outcast to abused servant, to the wife of a wealthy régulo in whose village she will meet her true love. With every change in Ndani’s environment, we are introduced to a different facet of colonial-era Bissau-Guinean society: rural, under-served poor; white, colonial elite; powerful, indigenous leaders; and finally, Church-educated citizens.